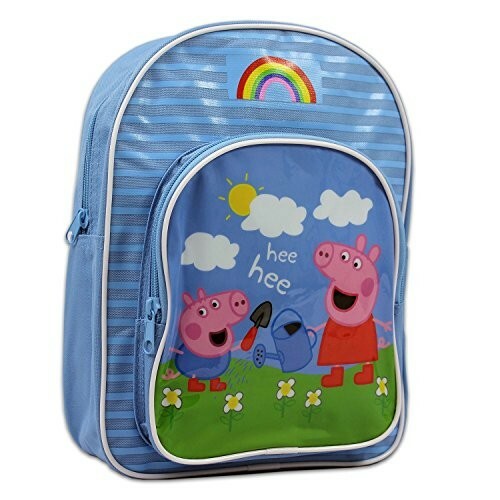 Fans of Peppa and George will love this colorful backpack! At 12 by 9 inches, it's the perfect size for little kids — big enough for what they need to carry but not too big to be comfortable. A main zippered compartment and front zippered pocket provide space for all her bits and pieces.